Ms. Pranger focuses her practice on intellectual property law registration and protection, including litigation and other alternative dispute resolution proceedings, contract negotiation and formation, and other business transactions. Ms. Pranger is listed as a recommended expert among “The World’s Leading Trademark Professionals”, published each year by World Trademark Review (2017, 2018, 2019). Before starting Pranger Law, Ms. Pranger practiced intellectual property law at one of the largest and most prestigious law firms in the United States, Manatt, Phelps & Phillips LLP. At Pranger Law, Ms. Pranger handles all aspects of Intellectual Property law including searching and clearing marks, registration with the United States Patent and Trademark Office & globally, policing and enforcing rights, opposition proceedings and federal and state lawsuits. Ms. Pranger has handled $100 million dollar deals and litigated cases involving claims of infringement of intellectual property rights and unfair competition, contract disputes, employment matters, as well as general business litigation claims and litigation on behalf of companies and entertainers. At Hastings, Ms. Pranger was the lead advocate in the National Appellate Advocacy Moot Court Competition, Senior Internet and Communications Editor of the Communications and Entertainment Law Journal, and Founder and President of Internet and Technology Venture Group. She was awarded the American Jurisprudence (AmJur) award for best oral argument and the University Alumni Association awarded her the “Outstanding Student Leader Award.” During law school, Ms. Pranger worked in business development for a start-up company that was later acquired. Ms. Pranger put herself through University by working full time in sales and was awarded a degree with High Honors by the University. Ms. Pranger speaks regularly on a variety of topics in intellectual property law. She makes several different presentations covering topics ranging from the basics for entrepreneurs to complete monetization of an intellectual property portfolio. If you would like to have her speak at your company or organization please contact her at hpranger@prangerlaw.com with the request. 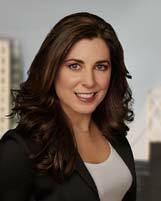 Ms. Pranger is a longstanding member of the International Trademark Association (INTA) and the California State Bar. She is admitted to practice before the United States Trademark Office and the Trademark Trial and Appeals Board (TTAB), in all California State Courts including the California Supreme Court, United States Ninth Circuit Court of Appeals, and the United States District Courts for the Northern District, the Central District, the Eastern District, and the Southern District of California. Ms. Pranger is permitted to and has appeared pro hac vice in United States District Courts in other districts across the nation. As a business owner, she is a member of Entrepreneurs Organization (EO), an international organization of business owners and founders; she has been a member of the ACLU for over 20 years; and is a proud supporter of numerous charities, including Meals on Wheels and Leukemia & Lymphoma Society. In 2010, Leukemia & Lymphoma Society’s nominated her for Woman of the Year for her philanthropic efforts.